The Senate President, Bukola Saraki, has provided reasons he left All Progressives Congress for the Peoples Democratic Party (PDP). Saraki had on Tuesday, announced his defection. In a statement by his spokesperson, Saraki accused influential persons of the APC of intolerance and causing his exit. 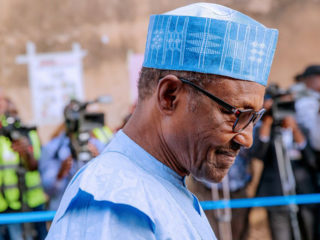 “While I take full responsibility for this decision, I will like to emphasise that it is a decision that has been inescapably imposed on me by certain elements and forces within the APC who have ensured that the minimum conditions for peace, cooperation, inclusion and a general sense of belonging did not exist,” he said. Well as good and convincing as Saraki’s reasons for leaving APC may sound, it does not appear it is about good governance or well-being of Nigerians. It is all about Saraki’s personal political ambition and the 2019 elections. Any other reason is neither here nor there. Saraki’s defection was long expected. This is because his body language on assumption of office as Senate President against the wish of his party pointed to the direction. So, Saraki’s defection could be described as home-coming, having been a strong member of the PDP before and has hobnobbed with its members in the Senate, more than he did with those of APC. Some may argue that Saraki’s defection came too late, having waited for the APC national leadership to dissolve the party’s state executive loyal to him and replaced it with a caretaker committee that is loyal to his political enemies. 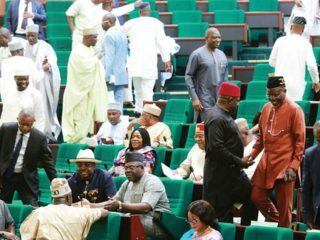 By APC’s action, it simply means that the party has shut its door behind Saraki and his supporters, before Saraki announced his defection on Tuesday. Now that Saraki has left APC to PDP with loyalists, the battle for the soul of Kwara in 2019 will be an interesting one between Saraki and his opponents, including her sister, Senator Gbemisola Saraki and others who will be likely backed by the powers-that-be in Abuja. Saraki’s political sagacity and strength will be put to test in the state again without federal might on his side. With this coupled with APC leadership’s move to discipline or encircle Saraki, Oloye and his loyalists must realise that the fight will be tough and overwhelming. The outcome, especially in Kwara in 2019 will go a long way in determining the political future of Saraki and members of his dynasty. Finally, ahead of the Senate’s resumption in September, Saraki must watch his back carefully because APC will try to unseat him as Senate President by hook or crook. Justice Muhammed Idris of the Federal High Court sitting in Ikoyi, Lagos, on Tuesday, 2018, dismissed a no-case submission filed by a former governor of Abia State, Orji Kalu, in his bid to stop his trial over alleged N3.2 billion fraud. Kalu, alongside his former Commissioner for Finance and Account, Jones Udeogu, and a company, Slok Nigeria Limited, are being prosecuted by the Economic and Financial Crimes Commission (EFCC) on an amended 39-count charge bordering on money laundering to the tune of N3.2 billion. 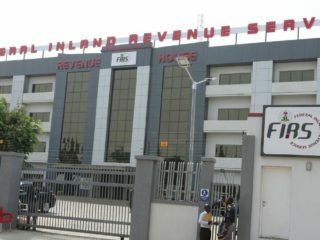 In his short ruling on the no case-submission, Justice Idris held that the prosecution had established a prima facie case against the defendants based on the evidence against the defendants. Now that Kalu’s no-case submission has been quashed by the court, the onus lies on Kalu to open his defence and clear his name. Failure to do so or doing so without presenting incontrovertible evidence to clear his name may earn him ex-governor Joshua Dariye or Jolly Nyame’s treatment. Not helping matters for Kalu is the order by the Court of Appeal that his case must be concluded before September. This is not best of time for Kalu, who defected to APC and has been busy campaigning for Buhari’s re-election. It has been observed that ever before his no-case submission was quashed on Tuesday, Kalu has not been so visible in his self-appointed role as Buhari campaign manager. Kalu’s case has lingered for long, just like his fellow ex-governors. But with this development, Kalu’s case will soon be decided. Whatever will be the outcome will make or mar his political future. Imo State governor, Rochas Okorocha, said on Tuesday that he would respect the court order stopping the swearing in of the new deputy governor, Mr. Calistus Ekenze. According to Okorocha’s Chief Press Secretary, Mr Sam Onwuemeodo in Owerri, the governor called on his party members to remain law abiding. Hmmm, It is hoped that Okorocha was not in the know of the pending court order that stopped the swearing-in of the new deputy governor. Nigerian politicians cannot be trusted when it comes to power play and intrigues. It is possible that Okorocha may even prefer to complete his second term without a deputy. That may afford him ample opportunity to choose his successor, preferably his son-in-law and Chief of Staff, Uche Nwosu, without further threat or disturbance. Or else how could Okorocha, who allegedly sponsored his former deputy, Eze Madumere’s impeachment without recourse to court order, suddenly and quickly accept to abide by the court order, stopping the swearing-in of his new deputy? Saraki was reacting to the claim by Adamu that the Senate President, once referred to Senator Dino Melaye as “clown” in a private chat with him. In a statement by Saraki’s Special Adviser on Media and Publicity, Yusuph Olaniyonu, Saraki stated: “I have deliberately ignored the antics of Senator Abdullahi Adamu, especially his constant media attack on me and the Senate since the Economic and Financial Crimes Commission (EFCC) dusted his file on alleged case of corruption and also went ahead to arraign his son in court. Saraki has a point here, because Nigerians know that majority of Nigerian politicians are not only liars, they are deceivers. Lies and deceits are their tools for manipulation of voters. While Senator Adamu acted so childish by disclosing a private chat he had with Saraki about Melaye, of what effect was such disclosure at this point, if not for political gains? It has been observed that since Saraki’s relationship with the presidency and APC leadership went sour, Adamu has been consistently critical of Saraki, leveling all manner of allegations against him, all in a bid to please the powers-that-be. If Saraki’s allegation against Adamu is true, Adamu should know that his servile could only save his son for a while, knowing that long arm of the law may still catch up with him. Even without Saraki accepting that he once described Melaye as a clown, there is no doubt that by Melaye’s comportment since becoming a senator, describing him as a clown is an understatement. Melaye is indeed more than a clown. Tambuwal, who is believed to be nursing presidential ambition, called on Nigerians to vote out President Muhammadu Buhari in next year’s election. He said Buhari has been “ineffective” as president. Tambuwal said he decided to leave the APC, because President Muhammadu Buhari has failed the nation and should be voted out in 2019. Just like Saraki, Tambuwal’s defection has been in the news before it happened. On the reason for his defection, Tambuwal is very economical with the truth. Tambuwal and other political prostitutes called defectors should know that Nigerians are not fools. Nigerians know that their defection is not about good governance or their desire for a sound economy, as they want Nigerians to believe. It is about their selfish political ambition ahead of 2019 elections. It is not hidden that Tambuwal has been nursing presidential ambition, while serving as governor. Having seen that he may not realise it in APC, Tambuwal defected to the PDP, where he hopes to secure a presidential ticket. 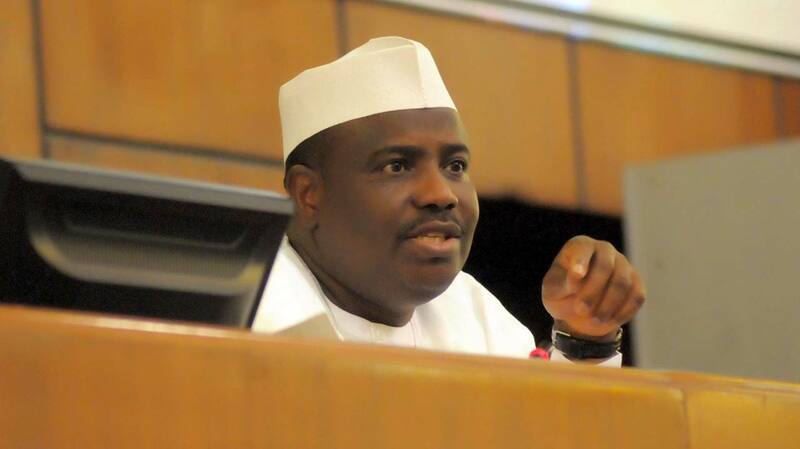 Tambuwal is a smart politician, who knows when to retreat and when to surrender. Just like ex-vice president, Alhaji Atiku Abubakar, Tambuwal is a serial defector, who has moved from the defunct ANPP to PDP, back to APC in 2015 and now to PDP again in 2018. Tambuwal has been having a running battle with his estranged godfather and predecessor, Senator Aliyu Wammako. Now that Tambuwal has defected to PDP, Wammako will now become the leader of APC in the state. This will set the stage for battle for the soul of the state in 2019 between APC and PDP, bearing in mind that President Buhari has always win presidential election in Sokoto since 2003, even when PDP won governorship. 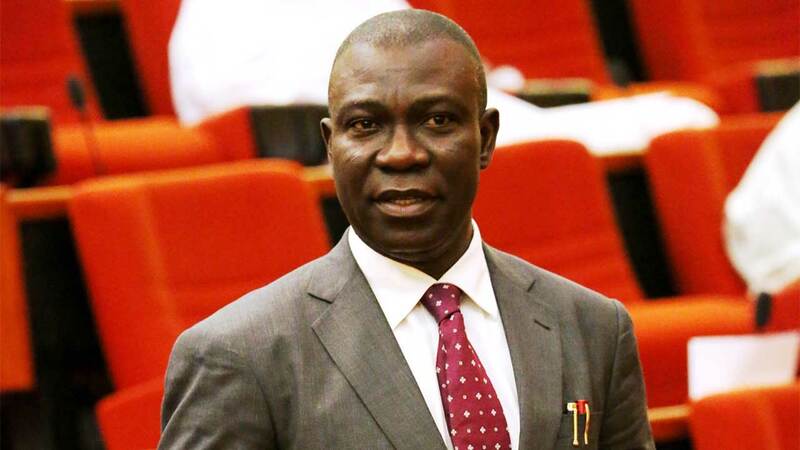 The Deputy Senate President, Ike Ekweremadu, was on Tuesday, grilled by operatives of the Economic and Financial Crimes Commission (EFCC) at its Abuja head office over alleged financial crimes. EFCC spokesman, Wilson Uwujaren, confirmed that Ekweremadu honoured an invitation by the Commission extended to him about seven days ago. Even though, the timing of the invitation could be said to be suspicious and political, Ekweremadu is not above the law and enjoys no immunity from investigation. So, there is nothing wrong in EFCC questioning Ekweremadu, unless he has something to hide. As a lawyer with many years of experience, Ekweremadu knows that EFCC has not erred in law by inviting him. After all, there have been allegations of fraud against Ekweremadu. The earlier he clears his name, the better for him and his political future. Ekweremadu should not be afraid of his past if he has nothing to hide. It is hoped that this is not a ploy to witch-hunt him ahead of 2019 elections.